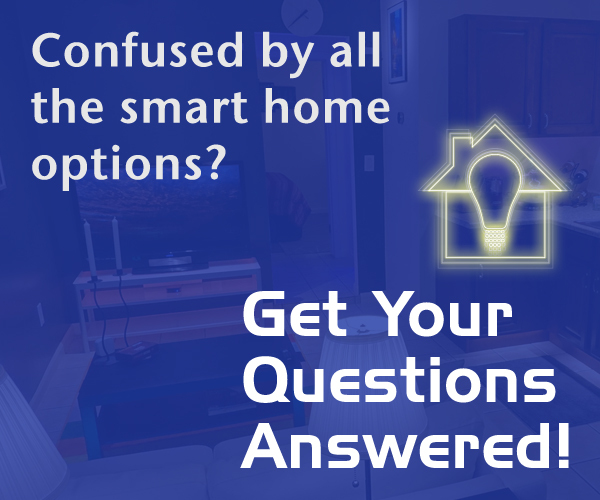 Smarter Home Life gets many, many emails and comments from its fans about the price of home automation products, and specifically, connected (or smart) lighting products. Some require a purchase of a starter kit with a hub, and others are à la carte but are upwards of $60 per lamp. Why is this stuff so darn expensive? It's partly because this is still a relatively niche industry, although it's growing rapidly. But all it takes is one lean start-up to take on the challenge of building a less-expensive but quality product. And, that's exactly what happened in 2015. I visited their booth at CES 2017 and got a first-hand look at the production model, and it looked pretty solid. They also were showing off their smart light strip product, which just finished its own crowdfunding campaign and is expected to ship this summer. As it is their second product, I'd assume they shouldn't have as many speed bumps, and probably will ship close to on-schedule. I met part of the Qube team and they seemed like good people who were trying to make a "dent in the smart lighting universe." I unboxed the Qube as part of an "easter egg" on the most recent LED Lighting Q&A episode, and that is included in the official review video that's embedded above. The video goes into the basic setup of the bulb and a number of the included functions, like moods (scenes) and scheduling. The Qube is somewhat unique in that it includes a proximity feature, which allows the bulb to be paired with a Bluetooth device, however I couldn't make it work. Other devices that use Bluetooth proximity allow the device that its app is running on to be a "proximity device" but Qube doesn't seem to allow for that, at least not yet. The app seems to prefer wearable devices, and that's what Qube's own marketing information happens to mention. This seems silly, since wearables make up a small fraction of the overall market of connected devices. Aside from that, the basic features, including remotely controlling the Qube bulb over a mobile data connection, worked as expected. Here's what I have liked so far about the Qube smart bulb: Good, unique design with the charcoal-gray base / heatsink. Worldwide voltage and socket compatibility (multiple versions available). Fairly straightforward app. Rich, saturated colors. Proximity feature is a great idea. Low price: $29 USD. Qube says that support for the Amazon Echo, IFTTT (and probably Google Home, too) is coming soon. There's no reason why Qube can't integrate with anyone out there, as it's Wi-Fi connected. HomeKit support was initially promised but they nixed it because of logistical challenges. Probably their 2nd-gen product will have it at some point in the future. The Smarter Home Life verdict? It's a pretty good product, and will get better over time with app refinements and firmware updates. In general, it works as advertised. Update May 2017: Qube evidently has still not delivered all bulbs to backers, even as they launched their light strip product as a new campaign earlier this year. And their iOS app continues to be non-existent. At this time, it's hard to truly recommend this product until the company sorts things out. That being said, if you don't mind a limited, Android-only product, it still works as a smart bulb and does the basics as has been advertised for $30...if you can get one.